Another £1.5m worth of European funding is now available for projects to strengthen the economy of rural areas across the Durham Coast and Lowland areas. The Durham Coast and Lowland (DCL) LEADER programme is seeking applications for the grant to fund projects that increase farm productivity, boost rural tourism or support small and micro businesses and farm diversification. Bids are also welcome for projects which provide cultural and heritage activities or offer rural services. 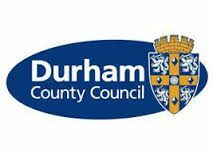 Running until 2020, Durham County Council acts as the accountable body for the DCL LEADER programme which covers the east of the county and parts of the south; including the coast line from Dawdon down to Blackhall, and lowland areas such as Castle Eden, Coxhoe, Newton Aycliffe and Sedgefield. The aim of the €1.980m* programme is to create jobs and support strong and sustainable economic growth as well as helping to conserve the unique nature of the local landscapes. By funding projects put forward by people, groups and businesses in the area it also hopes to target areas that the communities themselves see as a priority. The latest funding announcement comes on the back of the recently launched North Pennine Dales LEADER programme which covers extensive rural areas of County Durham, Gateshead and the south of Northumberland. People can find out more by contacting durhamcoastandlowlands@durham.gov.uk or 03000 266894 or online at http://www.durham.gov.uk/dclleader. There are two stages to the application process – an outline application and a full application. Please read the Durham Coast and Lowlands LEADER Applicant Handbook (PDF, 510kb) carefully before you decide to make an application. *The programme has €1.980m of European funding available although the exact amount in pounds will depend on the exchange rate at the time the funds are transferred over the lifetime of the scheme. Durham County Council is the accountable body for the DCL LEADER programme. The LEADER programme is part of the Department for Environment, Food and Rural Affair’s Rural Development Programme for England and is funded by the European Agricultural Fund for Rural Development.